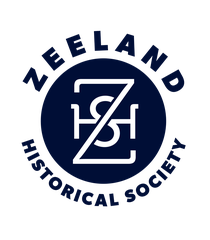 This series of pictures shows how the Dekker-Huis / Zeeland Historical Museum has changed over time. 1. 1917 - The store front as it stood in 1917. Notice the windows on the upper floor. 2. 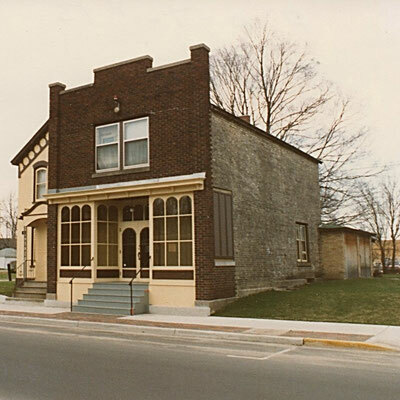 1975 - The front of the store in 1975 shows a different facade and new windows on the upper floor. 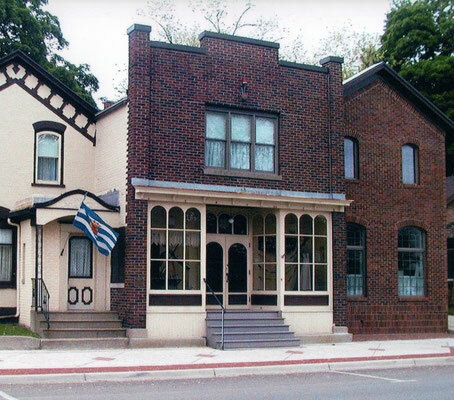 The Historical Society purchased the property from Randall Dekker in 1974. 3. 1987 - By 1987 the store front had been restored. Notice the empty space for the new addition. 4. 2004 - The new addition was completed in 1997. Notice the upper floor windows on the store front.